Monmouth County's best rated collision center. Three convenient locations to serve you. We hire the most experienced professionals in automotive collision repair. Our shops are I-CAR certified, the industry standard for excellence in the auto collision repair industry. 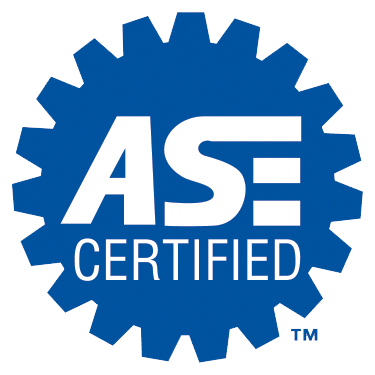 This means the person working on your car has the most up-to-date training and qualification available. We also provide a lifetime warranty on all work we performed as long as you own the vehicle. Using a Continual Service Improvement (CSI) monitoring system, we maintain an above average customer satisfaction index rating. Our paint quality and paint matching process will restore your vehicle back to its original look in no time. Stop by and experience it for yourself. Our satisfied customers rate us 4.9/5 on Carwise. Click here to see more reviews. We were recently featured by the Asbury Park Press! Want to keep your car’s paint job looking new? Here’s what you need to do. After accident repair, you want to make sure your car stays in great shape. Here’s how. If you’ve had a fender bender, there may be hidden damage. Here is how to tell. Want to keep your car’s exterior looking great? Here are a few tips to help. Happy New Year from all of us at M3. Stay safe and have fun! Poor quality parts and repairs hinder the performance of your car and can also be dangerous for you and everyone else on the road. Selecting the right repair facility is important and you have to know who you can trust. That’s what we’ll be discussing in this article. Happy holidays from all of us at M3! Keeping the inside of your car clean and fresh doesn’t have to be complicated. Here are a few quick tips to keep your car looking its best. All of us at M3 Collision hope you have a great Labor Day! Honda vehicles require specific tools and equipment for proper repair. As a ProFirst certified facility, M3 Collision is equipped and educated to repair your Honda properly. One out of four Americans states their garage is too cluttered to fit their car! Here are six tips to get your car back in your garage. Be a savvy car buyer and learn how to check for hidden damage or signs of prior accidents. A clean car is safer — and it makes a better impression. We’re rated 4.9/5 on Carwise and over the years put thousands of happy customers back on the road. We repair all makes and models from our three Monmouth County, New Jersey locations. Do you have a winter emergency kit in your car? We've put together some ideas to get you started. Sign up with your email address to receive special offers and discount coupons on our services. Copyright © 2017 M3 Collision Group. All rights reserved.